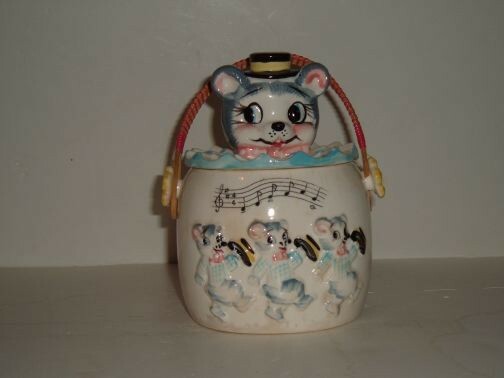 Cat Head Cookie Jar made in Japan. Manufacture date is unknown. The jar is from a private collection and has a wicker handle with one side loop broken on the handle.